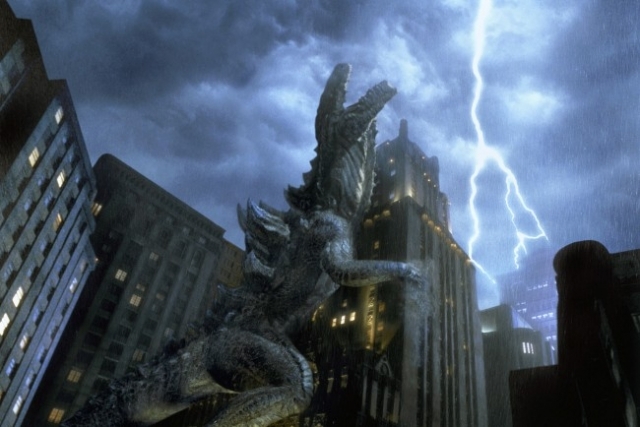 With 2014 bringing the second remake of the 1954 classic, Godzilla (Gojira if you use the original Japanese title), to western audiences, I figure it’s a good time to talk about what happened in 1998. First off, a lot of good things happened that year: media giant, Google was founded, Bear Grylls became the youngest man to ever climb Mt. Everest at 23 (wonder what he drank to celebrate at the top) and The Big Lebowski was released on an unsuspecting public. All of these things were pretty awesome. Then there was Roland Emmerich’s remake of Godzilla. Let me say this now and get it out of the way: I am a huge Godzilla fan. I own and have seen all of the films multiple times. I own over two hundred Godzilla themed pieces of merchandise. I could tell you trivia from any of the 28 films. I… I’m just going to stop right there. Needless to say, it’s a passion that I’ve been hooked on since I was a little kid (watching Godzilla movies on the Sci-fi channel made being sick fun). Now the common opinion held by most diehard Godzilla fans is that the 1998 “remake” is a disaster of epic proportions and an insult to the name, Godzilla. I agree with this opinion. I don’t think Roland Emmerich’s film is the worst I have ever seen by any stretch (I don’t even think it’s the worst Roland Emmerich film I’ve seen – that honor goes to The Day After Tomorrow) but I do think it might possibly be the worst remake I’ve ever seen and I would agree with this statement: If Godzilla (1998) is the only Godzilla movie you have seen; you have not seen a Godzilla movie. 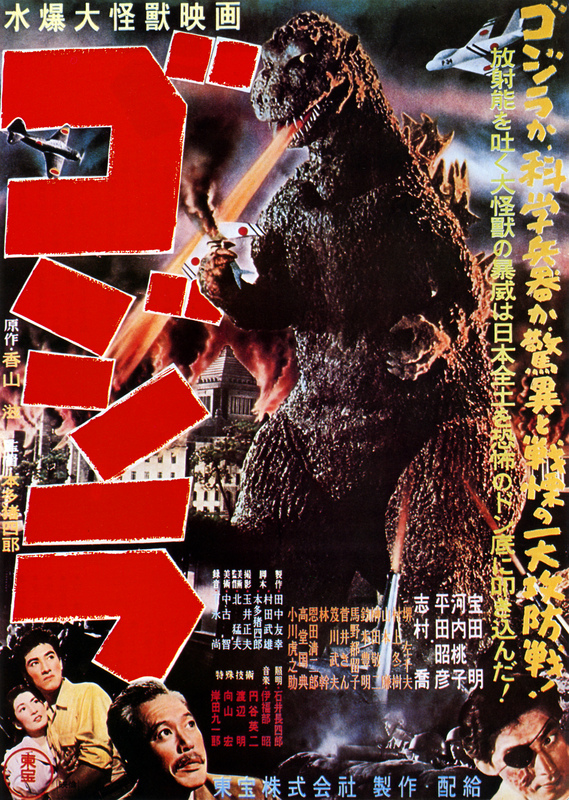 Godzilla is ranked by film historians as the second most influential film to ever come from Japan. The only film held above it is Akira Kurosawa’s Seven Samurai. Now if you’ve seen the 1998 movie, you might be thinking might now: it’s about a giant, radioactive, monster that attacks a city and fights the military – that sounds like Godzilla to me. And it does, it does sound like Godzilla. But it’s not. The biggest failure of the remake lies not in its cast, special effects or choice of location but rather in its genre. Godzilla released in 1998 is not the same genre of movie as the 1954 original. But wait, you say, aren’t they both giant monster movies? No, the original Godzilla is not a giant monster movie. Allow me to elaborate my point. A giant monster movie can be defined by a few key ingredients: the presence of a giant monster, the presence of destruction, the presence of military and a human subplot that usually involves scientific exposition and a love interest. Nearly all giant monster movies have these elements (or at least manage a 3 out of 4). There can be one addendum to the presence of destruction: it is always destruction without consequence. What I mean by that is: buildings are destroyed, people are killed but the consequences aren’t felt more than five minutes after you’re done watching the scene. There is no feeling of loss, rather a different sensation of “oh, wasn’t that a cool explosion!” This means that all giant monster movies are supposed to be fun to watch. They are films of pure spectacle. Let’s talk about Godzilla (1954). I don’t know if it’s possible to have fun watching this movie. Ishiro Honda’s Godzilla is an event film. It focuses on the human drama of people forced to suffer through a disaster. In this case, that disaster is spelled about: Godzilla was made to be an escapist’s portrayal of the 1945 atomic bombings of Hiroshima and Nagasaki. 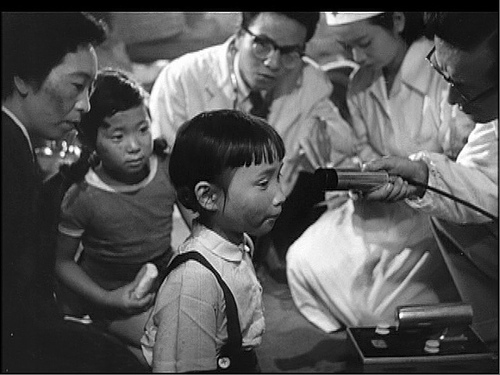 This film was made just 9 years after the bombs fell. That’s incredible to think about. Also consider this fact: in the years following Japan’s surrender, their cinema was not allowed to make films that portrayed America as a villain. These films would have been considered propaganda and in breach of the terms of Japan’s surrender. So what do you do when you wish to make a film about the horrors of nuclear war without directly involving the nation that bombed you? Use a giant monster… and fill that movie with loads of veiled anti-American sentiment. The American version of Godzilla was heavily altered to remove all Anti-American feeling and greatly reduce the sense of tragedy. 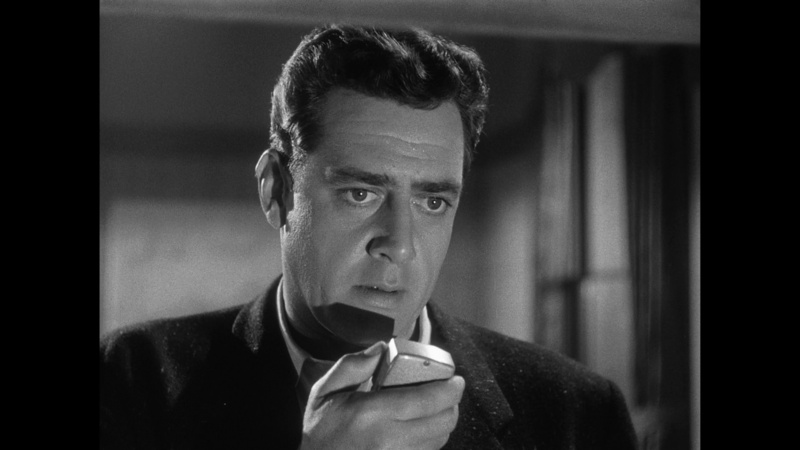 The character of Steve Martin (Raymond Burr) was also added in to further distance the audience from the horror of what they were watching. The 1998 movie does not have a trace of this subtext. Yes, Godzilla is created from nuclear fallout in both films, yet the function is different. In 1998, it is just used as explanation (in accordance with the giant monster movie formula). How does this thing exist: radiation. In 1954, radiation and nuclear fallout wasn’t just exposition, it was the theme of the whole movie. 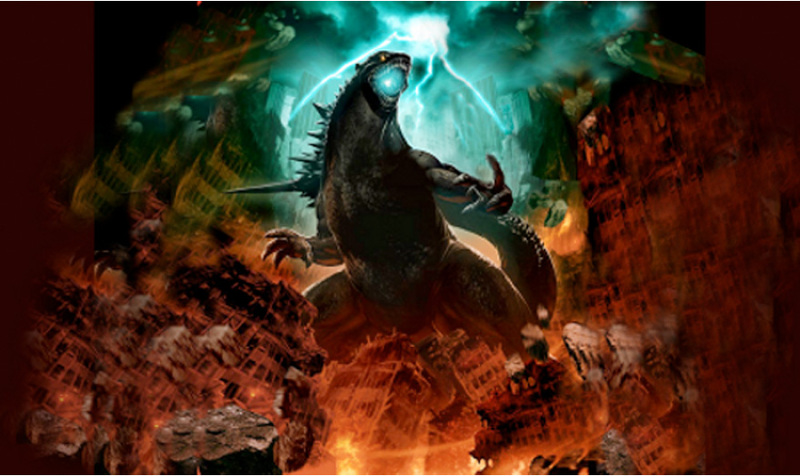 Godzilla itself served as a metaphor for the horrors of nuclear war. Losing that took away Godzilla’s identity and is the main reason why diehard Godzilla fans don’t consider the 1998 remake to be a part of the series. The genre and scene construction of the 1998 film make it a far better remake of Jurassic Park than of the original Godzilla. This scene takes place after Godzilla’s rampage. These children have survived the initial devastation only to be found to have fatally high radiation levels. Yep, they managed to not be crushed in falling debris or perish in the fires (there are scenes of that happening to families) but they will still die anyway because that’s how atomic destruction works. Is there any scene like this in the 1998 remake: no. This scene pictured above is not the only of its kind in the original, either. I know I don’t need to hammer the point anymore but, in terms of genre and effect on the audience, Schindler’s List would be a more faithful candidate for remake than the 1998 film. Okay, so how did this happen? How did the 1998 remake fail so completely in capturing the spirit of the original? Simple answer: Roland Emmerich doesn’t like Godzilla. He has said as much in multiple interviews. He doesn’t understand the movies, he hasn’t seen a lot of them, he doesn’t like what he’s seen. Great candidate to remake the vision, right? Hollywood screwed up (to the point that Toho Studios nearly sued them). Now, in 2013, production is underway on a new remake. This time Gareth Edwards (of Monsters fame) has been asked to direct. Rest assured, he is a Godzilla fan and has stated multiple times his desire to return to the tone of the 1954 film. Personally I’m a little weary: the film has experienced time in development hell, going over multiple script rewrites and includes two additional monsters (shouldn’t need other monsters for the first film). However, Edwards is a fan… so I guess that’s something. This image is from promo art released for the upcoming remake. At least this time it looks like Godzilla. So if you’re in the mood for a powerful piece of film making, check out the original 1954 Godzilla. However if you’re only acquaintance with the king of the monsters came in 1998… you may be in for a surprise when you go into the theater next year. You might be about to see your first Godzilla movie. 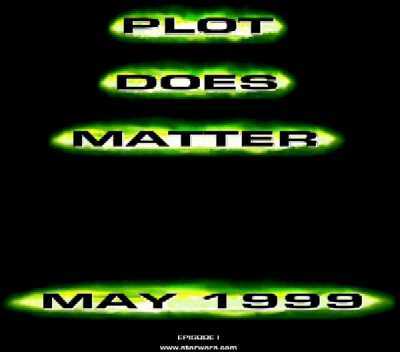 Movie trivia: Lucasfilm didn’t like the 1998 Godzilla‘s tagline of “Size Does Matter” as they felt it was an attack on Yoda. After the film was released, Phantom Menace marketing released this… and when The Phantom Menace is able to make fun of your movie’s plot, you know you screwed up.